floating among coral branches and seaweed. 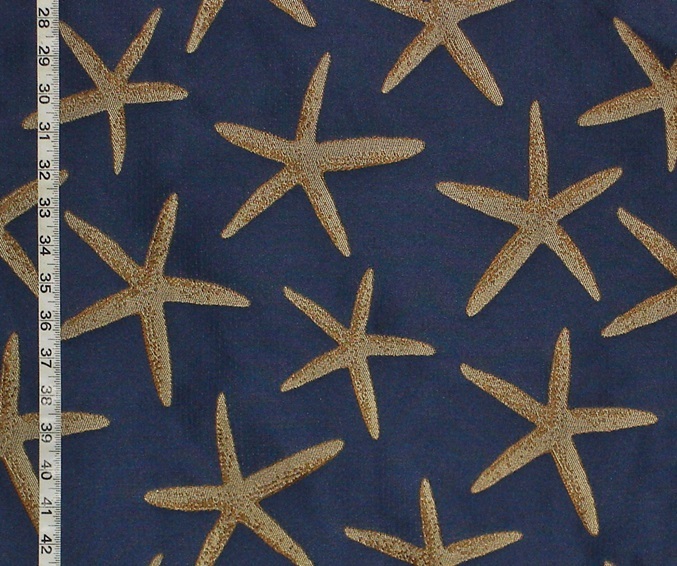 This starfish fabric is a print. This pattern comes in two other colorways. There is also an all blue colorway, and a colorful version. 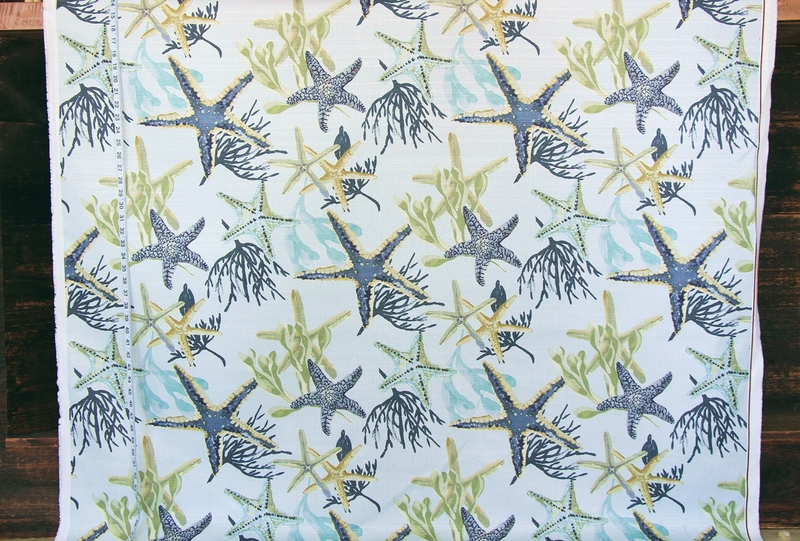 The Blue Green Starfish Fabric is also understated. on a soft off-white greenish background. The last colorway has a great mix of colors. touches of deep reddish brown. Grey, lime, and powder blue add contrast. besides having to choose a fabric they like, in colors that work for them, is the consideration of printed fabrics or woven patterns. I like a mix of the two for contrast. which are great for just that. 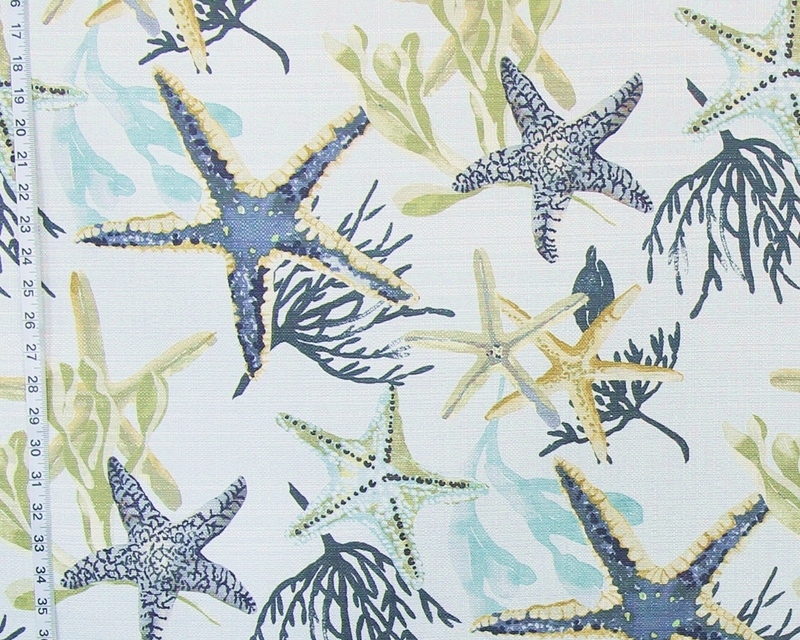 they work well as a accents to many of the busier ocean patterns. 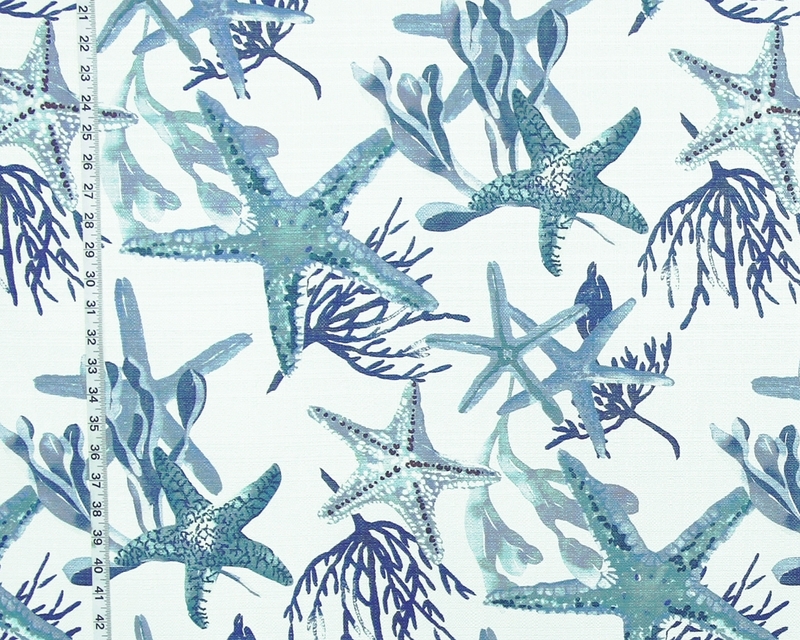 There is a deep blue colorway and three other colors. it is a warm golden tone. 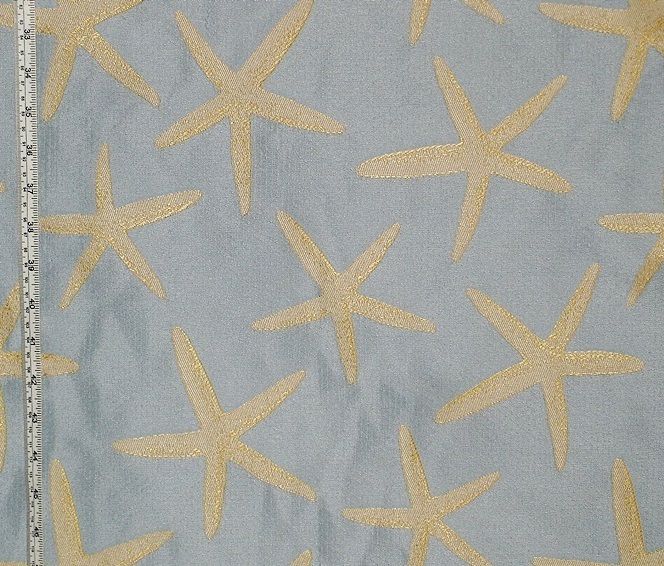 tan starfish dance across a pale blue background. 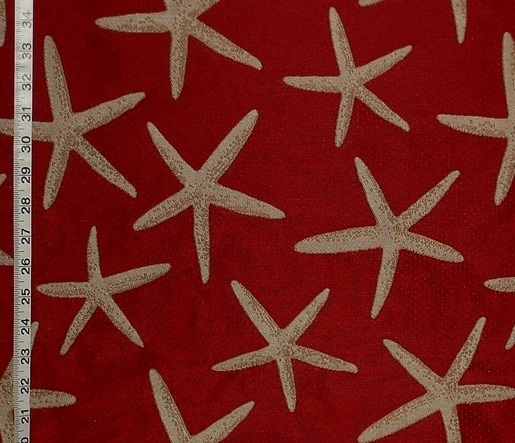 are the sea star barkcloth fabrics. 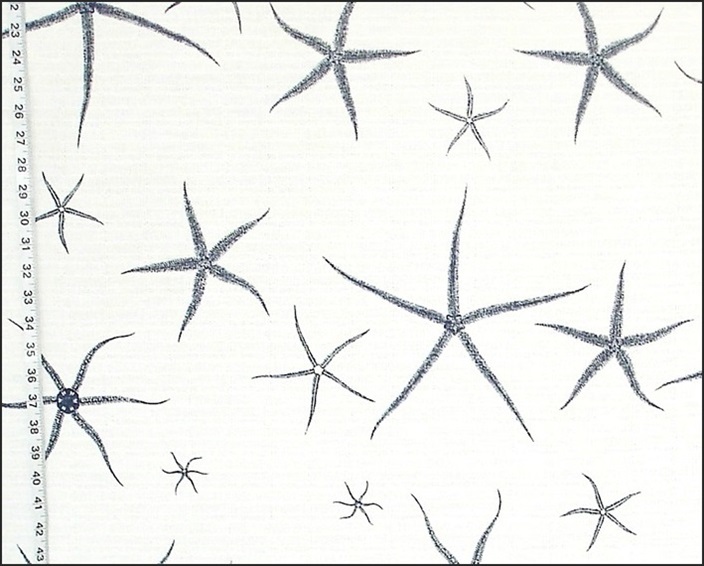 These are monochromatic, and have quite a lot of punch as they are on a snow white background. 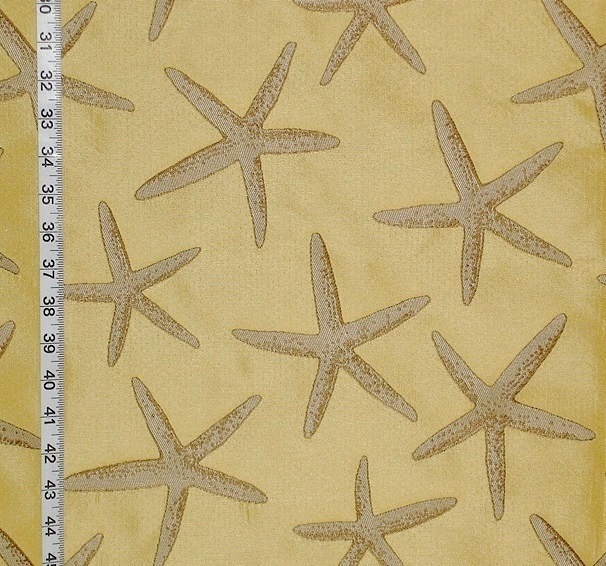 The other thing that sets these two fabrics apart is the groundcloth. adds a lot of interest. 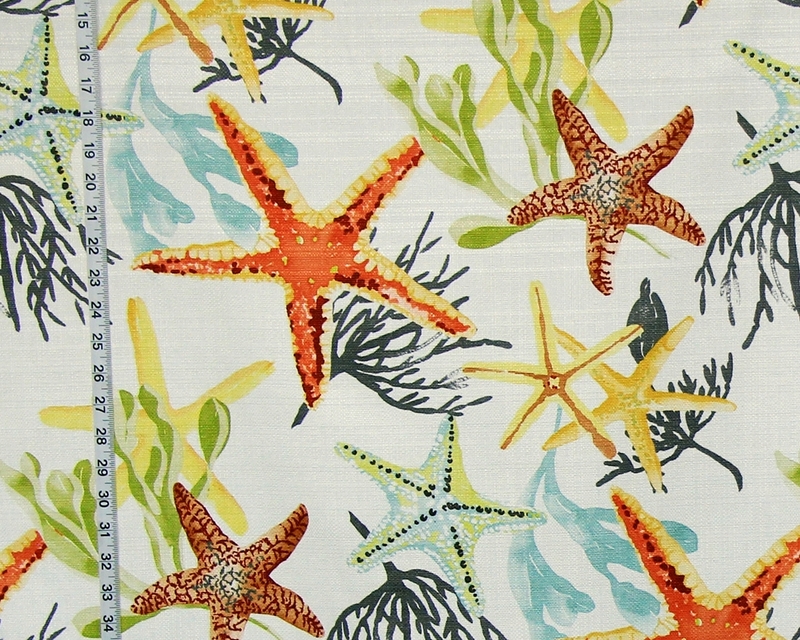 There are other starfish fabrics in the store.